programs / events » cinekink nyc » cinekink nyc / 2014 » The Bed and How to Make It! Our tribute to Joe Sarno continues with this classic from the director’s early, NYC-centered prime. Sordid goings-on transpire when a young woman goes to work as a chambermaid in her aunt’s motel. Setting her sights first on her aunt’s husband, she soon sets off a chain of bed-hopping intrigue, blackmail and psycho-sexual revenge. 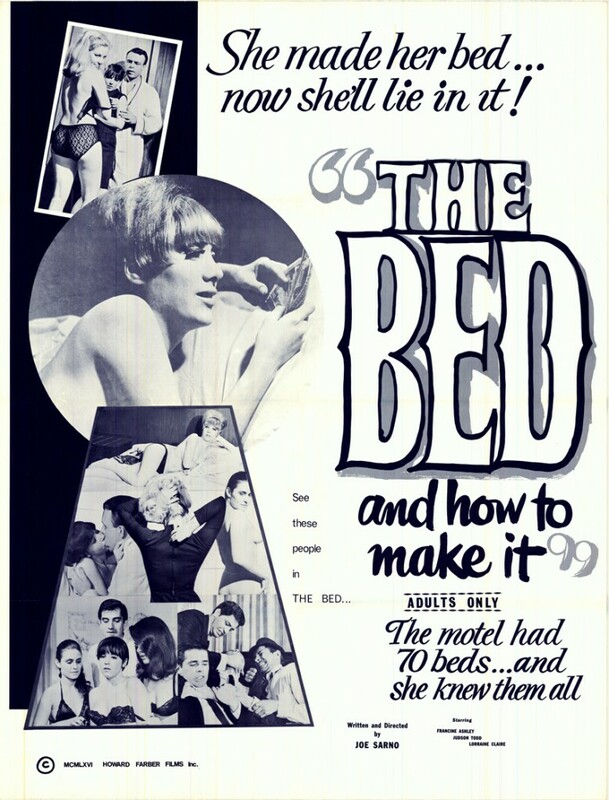 Directed by Joseph Sarno, 1966, USA, 90 minutes. Starring Francine Ashley, Judson Todd, Loraine Claire and Peggy Steffans. Join us for a Sarno double-feature! Special admission – $14 for both! !